Send money to almost anyone. If they don’t have a PayPal account, we’ll send them a link to sign up so they can access the money. Stop sharing sensitive financial information. 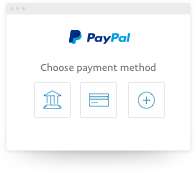 PayPal’s the safer way. This is to a friend or family member. Free for both of you when sent within Australia in AUD and funded with your PayPal balance or bank account. This is for a good or service. Free for you when sending Australian dollars. The seller pays a small fee to process the payment. Your transaction may be eligible for Buyer Protection. Log in to your account. 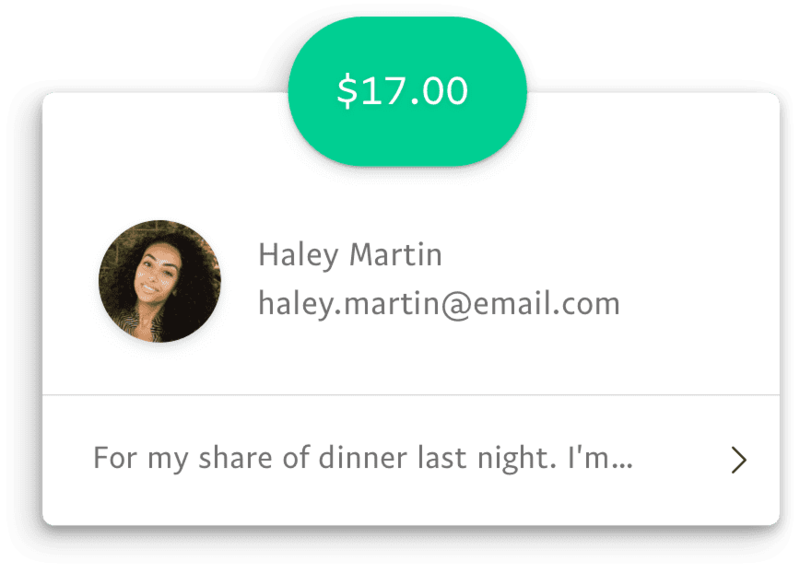 Enter your friend’s email or mobile number and an amount to send. Choose the bank account or card to use, and send your money securely. They’ll receive the money into their PayPal account or a link to sign up to access it. A safer way to send and receive money. When you tell someone your BSB and account number, you’re trusting that they won’t draw from your bank account, or write the numbers down where someone else might find them. 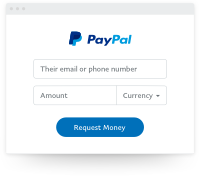 When you send money with PayPal, all you need is their email address or mobile number – details you probably already have. Plus, you can rely on PayPal’s security measures to keep your financial information safer. 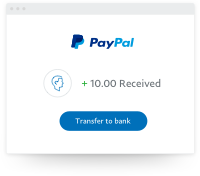 When you send money to friends and family within Australia from your linked bank account or PayPal balance, it's free for you and your recipient. You can also send money from your credit or debit card, or to someone overseas, but that'll incur a small fee. Send money on your mobile. 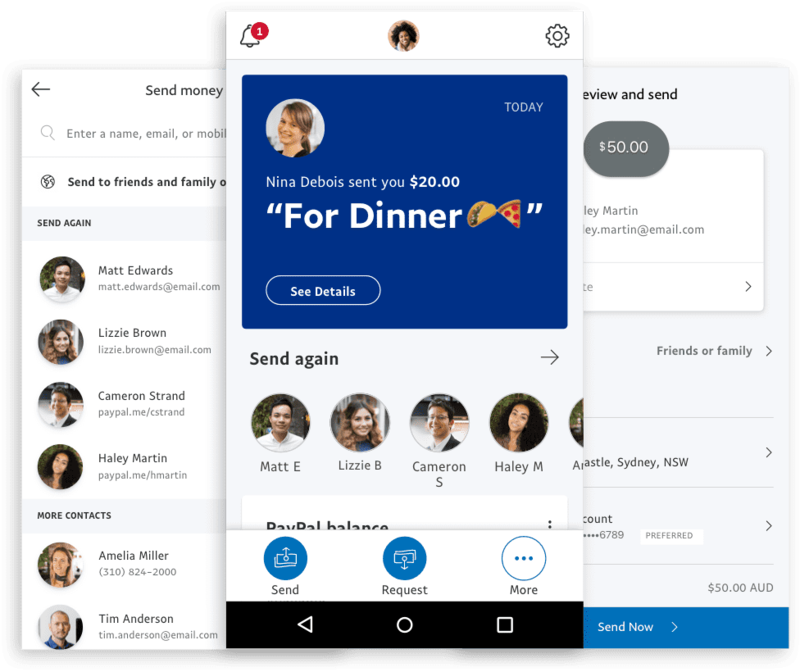 The new PayPal app makes it even faster and easier to send money on your mobile to almost anyone around the world. $282 billion dollars were processed by PayPal globally in 2015.